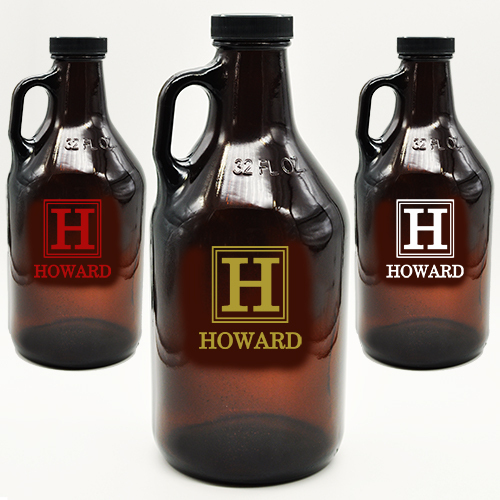 Customize this amber growler with this double border monogram design. This 32 or 64 ounce growler is the perfect vessel for serving your home made beer or wine. 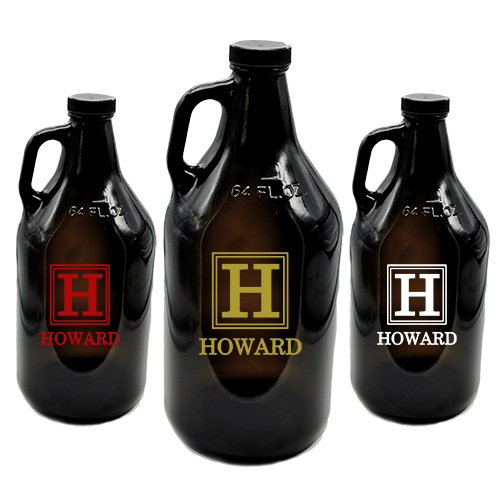 Whether you are a home grown brewer, professional brew master or bartender, this 32 ounce/1 liter or 64 ounce/2 liter amber growler is personalized with your monogram and last name. Design is sand blasted into the glass in natural etched, red, white or gold color fill. Screw top lid is included. Don't hesitate and order today!